If you’ve done a bit of research about headsets already you’ve probably noticed that many people recommend headsets that nearly cost as much as the console itself, but that doesn’t have to be the case. 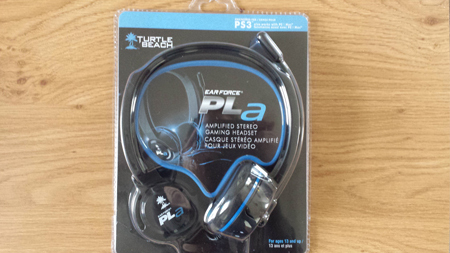 Thanks to Turtle Beach we got our hands on the Turtle Beach Ear Force Pla headset, which costs around £25 at the minute, note: this particular headset is for the PS3 and PC only, (there’s an XLA which is practically the same thing it just works for Xbox) and overall we were very impressed. One of the best things that we found with these Turtle Beach’s during our review was that it had greatly amplified stereo sound. Even when we were chatting with friends while playing a game (Call of Duty Black Ops 2 in case you’re wondering!) we could hear both the people talking to us as well as what was going on around us in the game – which can be quite rare when it comes to lower end headsets. We also tested the Turtle Beach Ear Force PLA with one of our PC’s which works via a USB connection and it couldn't be easier to setup. It worked just as well as it did on the PS3. Background noise is also not too much of a problem thanks to the ear cups, which means that it’s much easier to focus on gaming rather than what’s going on around you in the room! We’ve used the P11 from Turtle Beach (which is actually around £10 more expensive than this set) and we couldn’t notice any difference between the two when it comes to sound quality. Now let’s talk about the comfort. Although we have to note that the PLA Beach Headset isn’t as comfortable as other headsets (which we can’t really complain about considering the price) it’s definitely bearable. There’s some material on the cups which add a bit of comfort but we’d like to see a bit more padding in order to make it that little bit better. The pricing of this product is probably one of the best things about it. We’ve played games using £100+ headsets in the past and the Turtle Beach PLA is just a tiny notch down compared to these which is extremely impressive considering it costs in or around £25 from Amazon right now. In the past, you’d find it hard to get a quality headset for double this price, but thankfully for all of us gamers things have changed. When most people hear “Turtle Beach” they assume that you need £100+ to buy something from them, but not anymore, and the great thing is you still get a high-quality product. Don’t assume that just because it’s relatively cheap that it must be terrible because it’s actually the opposite. It’s important that we mention that this Turtle Beach headset isn’t a wireless one, so don’t be surprised when you see some wires in the box should you buy this. If you’re worried about the wire not being long enough to reach from your PS3 to wherever you’re sitting – you’ll more than likely be fine since its 4 metres long. There are also a few other cool features about the Ear Force PLA. One of them is that it features independent game and chat volume controls on the ear cup which can really come in handy at times. For example, if one of your friends is very loud, (you know the ones who rage!) which is distracting you from hearing what’s going on in the game; you can simply lower their voice down within a few seconds. It’s that simple. Not only this, but it also allows you to hear your friends chatting to you in both of your ears rather than just one like some headsets do. 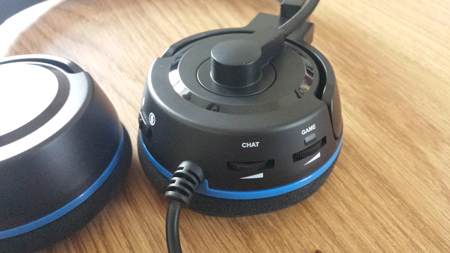 A great feature on these headsets as well is if you want to use the headsets but you do not want everyone to hear you or your want to mute the mic, you can do this on the headset itself by just switching a switch. The bass boost is also quite good for such a cheap headset; it really does make you feel much more involved in the game which is always a good thing. Overall, we’d highly recommend the Turtle Beach Ear Force PLA if you’re looking for a quality Ps3 headset without wanting to spend a fortune on one. 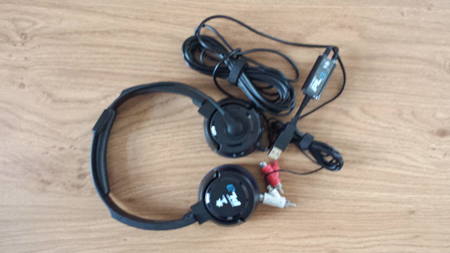 You’ll find it very difficult to find a better headset for such a low price.